A Taste of Soquel has raised over $74,512 (298,048 healthy meals) for families in Santa Cruz County! The Ninth Annual A Taste of Soquel promises to be a fun filled day of Food & Music for the Common Good! 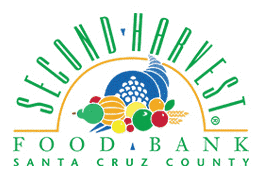 The Congregational Church of Soquel and the Capitola/Soquel Chamber of Commerce are co-sponsoring this event to benefit Second Harvest Food Bank. Save the date and talk it up with your family and friends! Local Restaurant participants: Sawasdee Thai Cuisine, HOME, The Kitchen @ Discretion, El Chipotle Taqueria, VinoCruz, Aldo's Italian Bakery, and Bella Chi-Cha, will be serving up food tastes especially prepared for this event. KidZone: The Kidzone is the place to be with Art, Musical, Face Painting, Kennolyn Camp Inflatable Archery, Games and more! You'll also want to check out the hospitality table with complimentary coffee provided by the Ugly Mug, tea, lemonade, ice water and food offerings from the Bagelry, Donut Station and Driscoll’s. Here's how it works! Purchase a wristband for an entire day of Food & Music for the Common Good! Pack up the neighborhood and join the rest of your family and friends at the Ninth Annual A Taste of Soquel, a Benefit for Second Harvest Food Bank. See you there!